The other night my wife and I watched Anthony Bourdain’s season finale to Parts Unknown set in Jamaica. In the episode, there are a couple of memorable scenes in which Bourdain converses with locals regarding their country’s tourism sector. Namely they discuss how much of Jamaica’s pristine coastline has been handed over to private resorts. One woman points out the tragic irony that it’s getting to the point that Jamaicans cannot enjoy Jamaican beaches. The episode then begins to ponder the dangers of turning an entire country over to the service of others. That is, a Jamaica that exists only to please rich visitors. No happy medium. The famous Sandals Resorts, of which there are seven on the tiny island nation, quickly becomes a target for mockery. From the beginning, the episode parodies the stereotypical American tourist who very likely populates the Sandals Resorts throughout Jamaica — overweight with a cutoff tee shirt, cowboy hat, and a ridiculously-shaped glass filled with booze. The straw is never too far from his lips. Afterward, we became masochistically curious about what a Sandals Resort actually entails. Based on a quick perusal of their website, it appears Sandals might have an image problem. To open, we find a slideshow of images. First a thinner Chris Hemsworth cheers (maybe?) Cameron Diaz over a romantic seasdie dinner. Next we find two couples enjoying their slice of sandy paradise as they’re brought drinks by a black man. Okay, calm down. There’s nothing wrong with showing minorities working in the service industry. Our third image shows two couples, their translucent skin sparkling in the burning sun, as they cruise around open waters in a small boat driven by another black man. Fourth is simply a scenic shot, and we end on yet another beachy white couple, presumably about to bang on the beach. Now it’s starting to look bad. But surely we will find a more diverse audience enjoying themselves at Sandals if we just keep looking, right? 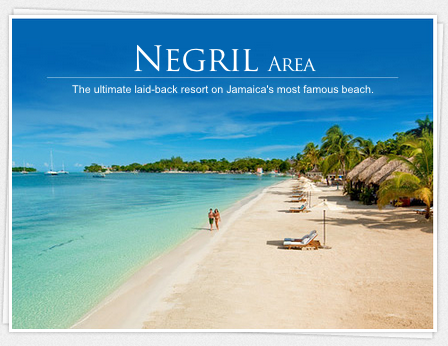 Let’s look at Sandals Jamaica, specifically only images where people are shown. Either Jamaicans look awfully Scandanavian or we’re not off to a great start. How about trying a specific resort? 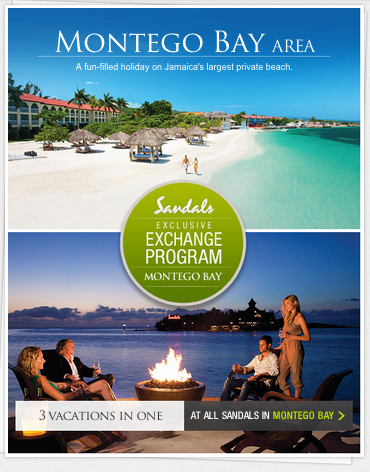 Here are your Sandals Montego Bay highlights. There’s a possible Jamaican! But again, only ready to serve. Has a Jamaican or anyone of non-European descent ever enjoyed themselves at a Sandals Resort? Seriously, Sandals? You have a party scene, and still, the only black person is serving? Even white-dominated universities have figured out how to sneak minorities into their materials to at least give off the illusion of inclusiveness. So locals are welcome at Sandals! In the form of forced cultural entertainment in your fortified, private resort secluded from the locals, of course. Alright, I’m getting ready to quit.